Christmas used to be just an ordinary day for Marjorie and her family before they moved to BayaniJuan in Calauan, Laguna in April, 2010. Her husband's income as a tricycle driver was just enough for their daily needs, including milk for their two toddlers. The supposedly joyous and festive occasion had been an ordinary day to her family as they struggle day-to-day to make ends meet. Her entire family was usually fast asleep while everyone else is having Noche Buena. The holidays became a little better since their relocation to BayaniJuan. "Nararamdaman na namin ang Pasko. Madaming nagpupunta dito para magregalo. Ngayong taon na ito, makakapag-Noche Buena uli kaming pamilya." 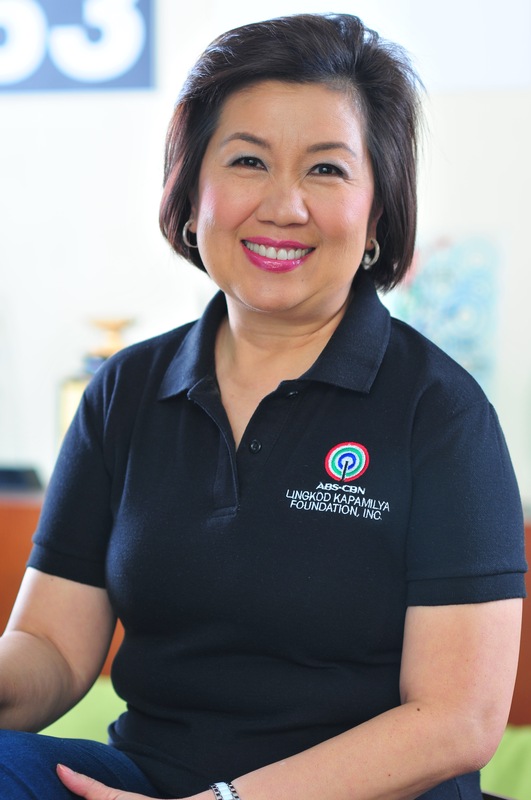 Marjorie's family is just one of the 220 families that benefitted in this year's gift-giving program of the Lopez Group Foundation, Incorporated (LFGI). "We cut down on our own Christmas party so these people would have something on their table for Noche Buena", said LGFI's Operations Head Angela Lopez-Guingona. She added, "sana ang aming handog sa bawat pamilya na naririto ngayon ay sapat upang magbigay ng konting saya sa inyong Noche Buena". Ms. Guingona committed to make the LGFI's Christmas gift-giving in Calauan an annual tradition. BayaniJuan in Calauan, Laguna is a community composed of families that were relocated from informal settlements along Estero de Paco, those from Marikina and Pasig who lost their homes to typhoon Ondoy and those previously relocated by the National Housing Authority. 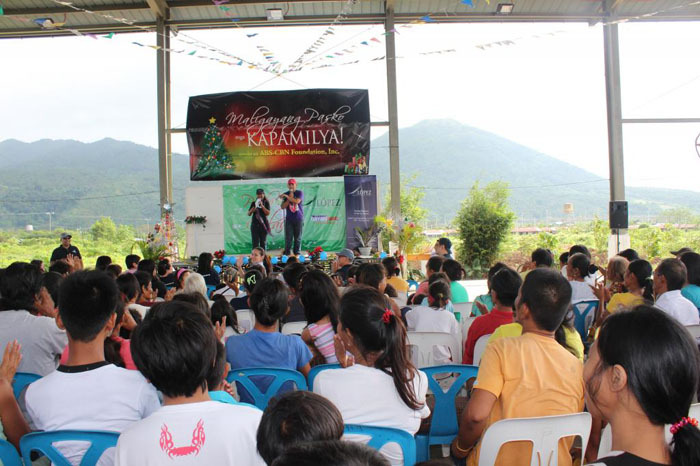 A program of the ABS-CBN Foundation, BayaniJuan partners with the national government, local government units (LGU), non-government organization and private companies to give these relocatees not only shelters, but access to basic utilities, and recreational, health, sports and educational facilities. Equally important is the provision of various livelihood opportunities by providing trainings and grants that qualified households use as start-up capital. 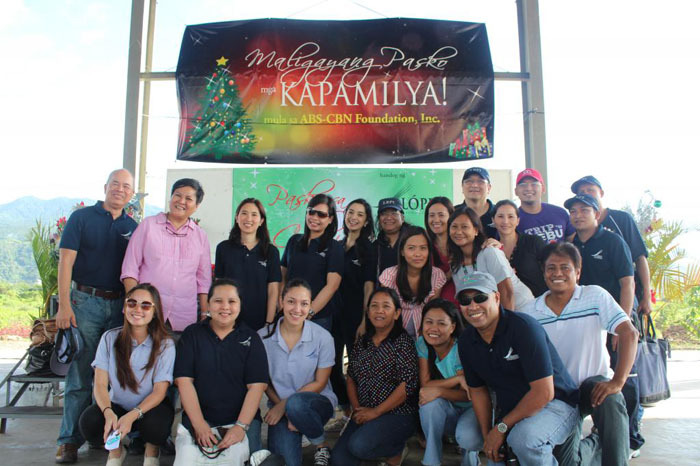 The officials and staff of ABS-CBN Foundation and Lopez Group Foundation, Inc. posed for posterity.